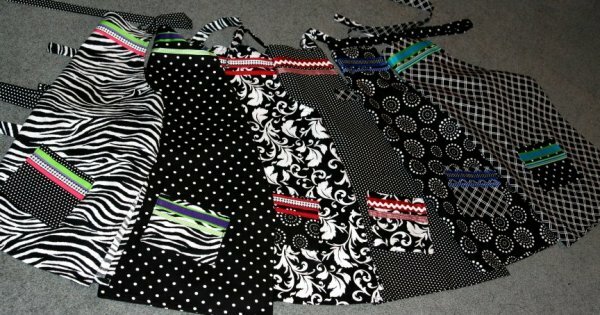 Every year I make some inexpensive gifts for 5 of my friends. Since I'm a scrapbooker, it usually revolves around that, but I can do a few other things too. This year I made post-it notepads - not my original idea, I copied it from here. 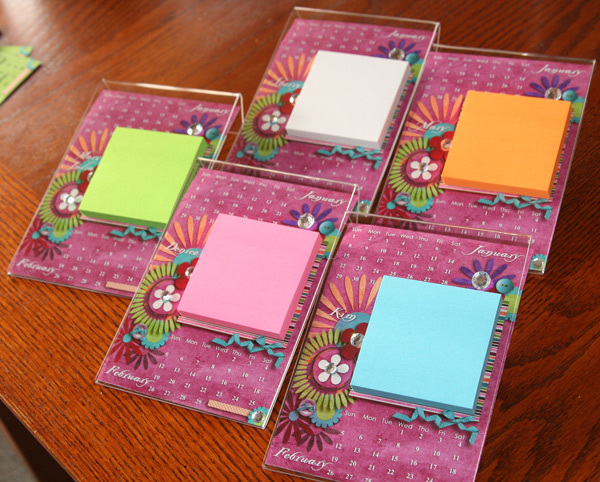 I used 5x7 acrylic photo frames and chose bright colored post-it notes. I decided to make this a little more useful by including a calendar. 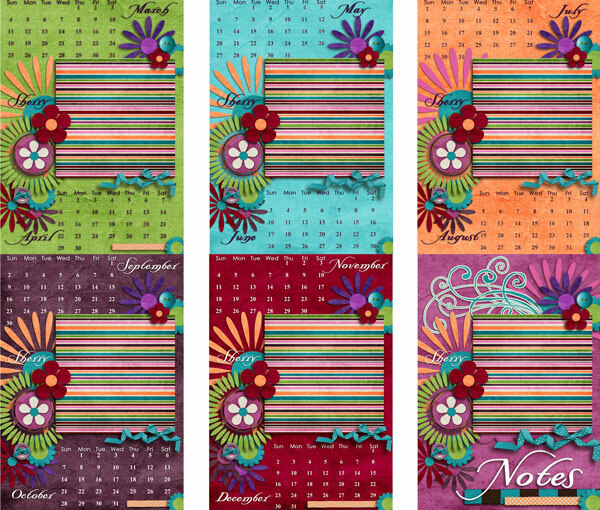 Two months are shown on each insert and each background is a differnet color for each set of months. Rhinestones were attached on top of the frame to match up with the middles of 4 flowers. I also included a basic insert to be used after the end of this year. Every other year I make them pocket calendars. 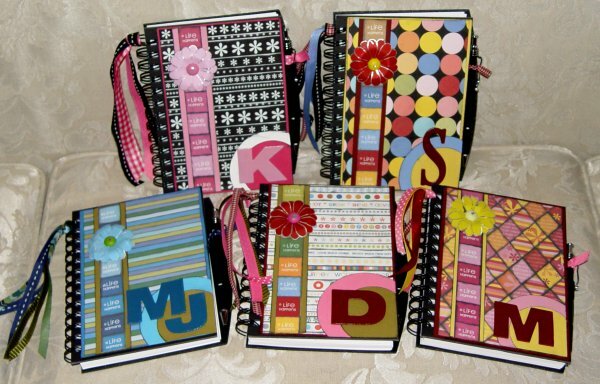 The first time I made them, I was not a digi-scrapper, so I used paper and ribbon and glue and stuff!! ;) They last for 2 years so when it was time to make them again, I had started scrapping on the computer and printed them - so much easier! A few years ago I made them notebooks with attached pens. Greg had brought home several of these from his office and they made a really nice set for jotting down notes. These were done pre-digi scrapping too. 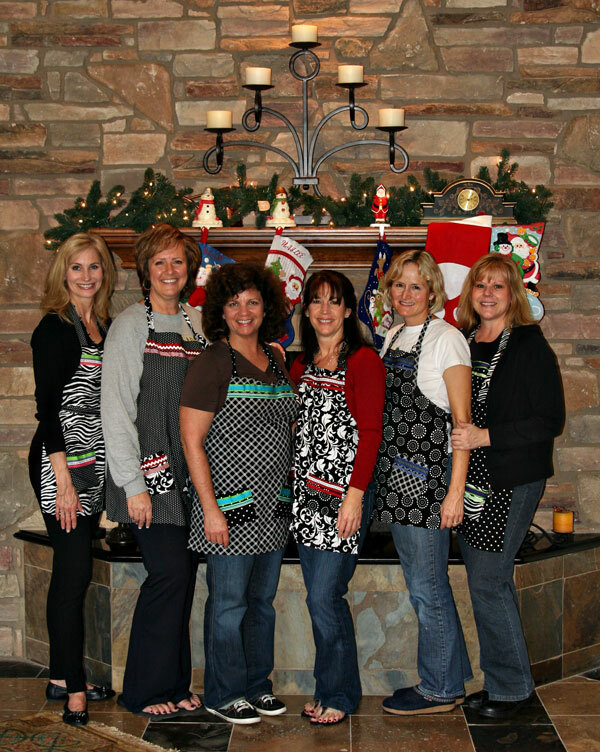 We now all wear our aprons on our annual baking day each year before Christmas. Normally next year would be the year for a new pocket calendar, but most of them now have smart phones that they use for their calendars, so my cheap little crafty ones are obsolete. Darnit! I guess I'll have to think of something else!